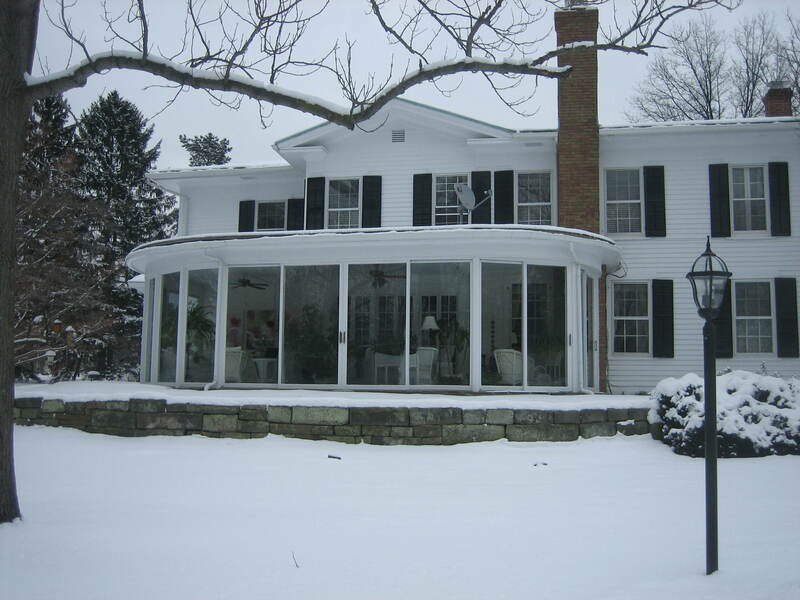 On some Country Inn Days when the weather is cold and snowy it’s nice to stay all cozy and warm at the Inn not venturing out at all. That’s today! Though it’s a bit gloomy outside, inside the Inn is bright and buzzing with activity for the Innkeeper, the Inn chef, the Inn maid, the Inn gardener, and the Inn guest are all keeping quite busy… and all those people are me! As you may or may not know the magic of Country Inn Days has the power to transform me into all these characters as I use my imagination. What fun I have! I hope you are in the habit of using your imagination too. The Jeremiah Brown House, my 1853 Country Inn of imagination, is where I spend much of my time, and its been undergoing an addition ever since last Summer. The Innkeeper, me, has been busy buying furniture and designing the new rooms. Today I stroll this and other rooms imagining how it soon will look for workers are coming in a day or two to sand, stain, and finish the floors and once the floors are finished the furniture will be delivered and then it won’t be long till guests can be entertained at the Inn once again. I’m anxious for that day to come because I can’t wait to host my sharing teas and dinner parties once more. This place is not for me alone. It must be shared with friends and family. Sharing doubles the joy. As Innkeeper I study the new rooms, but as Inn gardener I have other things to do. 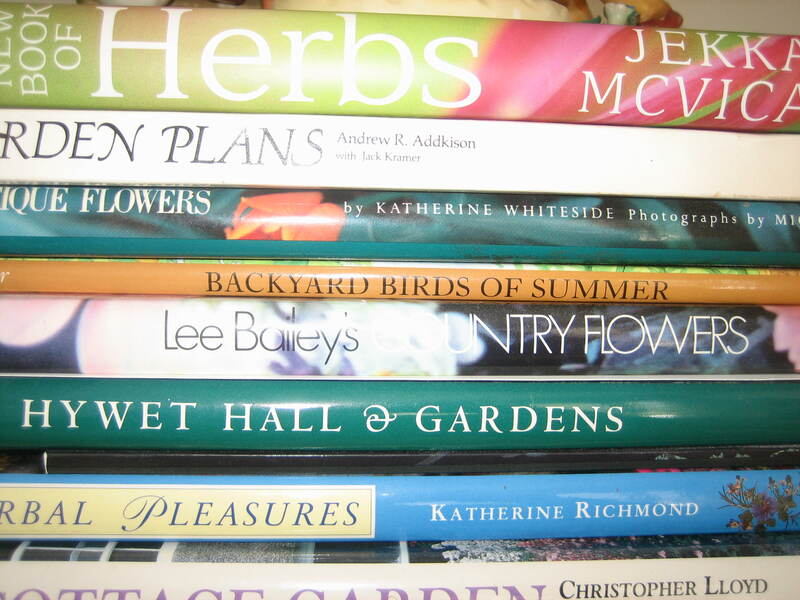 A gardener can’t work outside when the snow is a few feet deep and the temperature is only 29 degrees, but she can study the gardens found in books to give her ideas and that’s exactly what I’m doing on this cold Winter day. 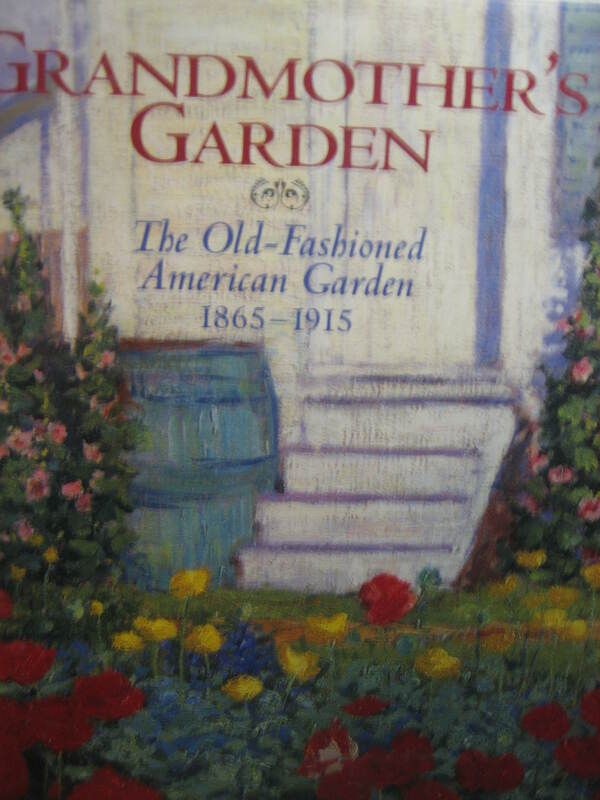 One particular book with lots of lovely old fashioned garden ideas is “Grandmother’s Garden” by May Brawley Hill. It features gardens popular from 1865 to 1915. Though my Inn was built earlier, it was still around in those later years too, so this book just might have some fine ideas for me. I do love old world ways and the Jeremiah Brown House needs old world ways to keep hold of its historic character. There’s never a dull moment on a Country Inn Day. So many things to do. 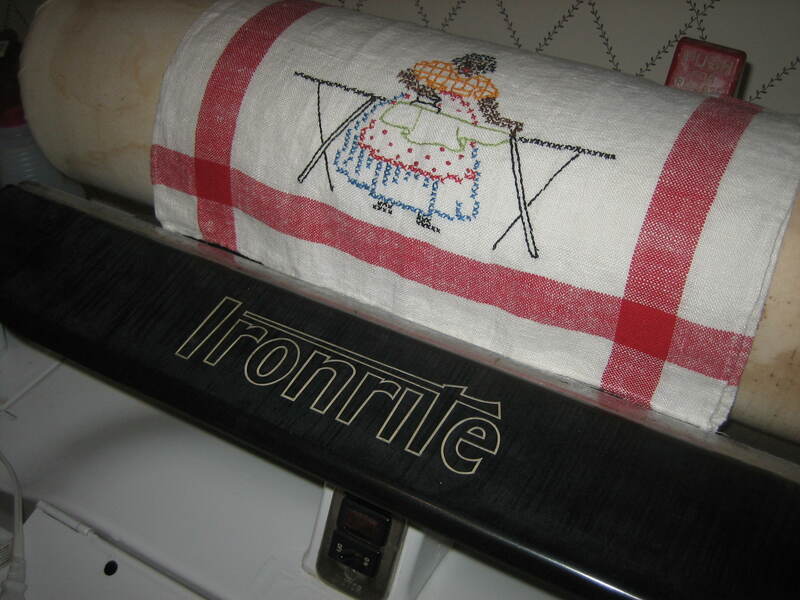 As Inn maid I always seem to have ironing waiting at the Ironrite, the ironing machine I inherited from my mother. It makes ironing table linens a breeze. And of course the Inn always uses fresh, crisp linens in its dining room. The linens have to be prepared but the Inn cook, me, has other work to do in the kitchen. Busy, busy, busy! A new kitchen is being designed here, but until the new kitchen is ready the old kitchen works just fine. It will become a butler’s pantry when the new kitchen is finished. I’ve always wanted a butler’s pantry. 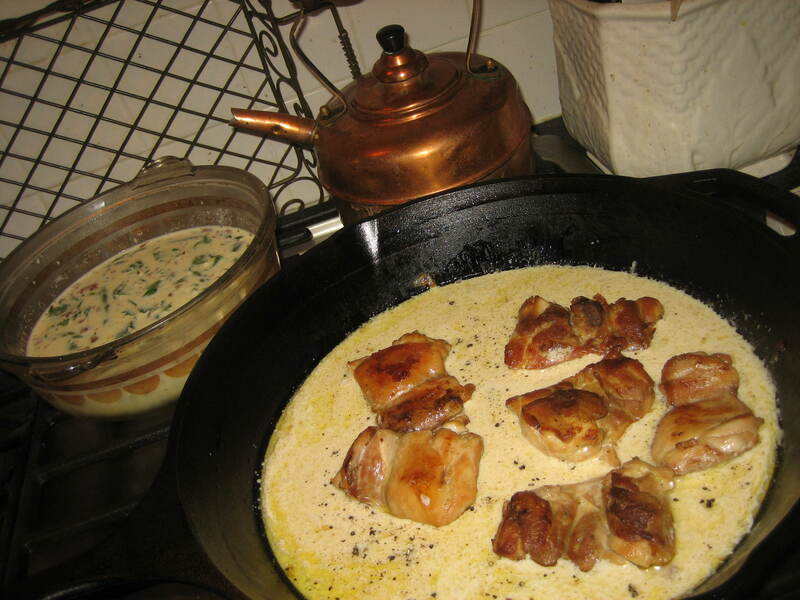 Here in the old kitchen I’m preparing a menu of chicken with wine accompanied by a pasta containing carrots, mushrooms, and caraway seeds. This pasta is seasoned with salt, pepper and paprika. There’s also an asparagus flan in the works. 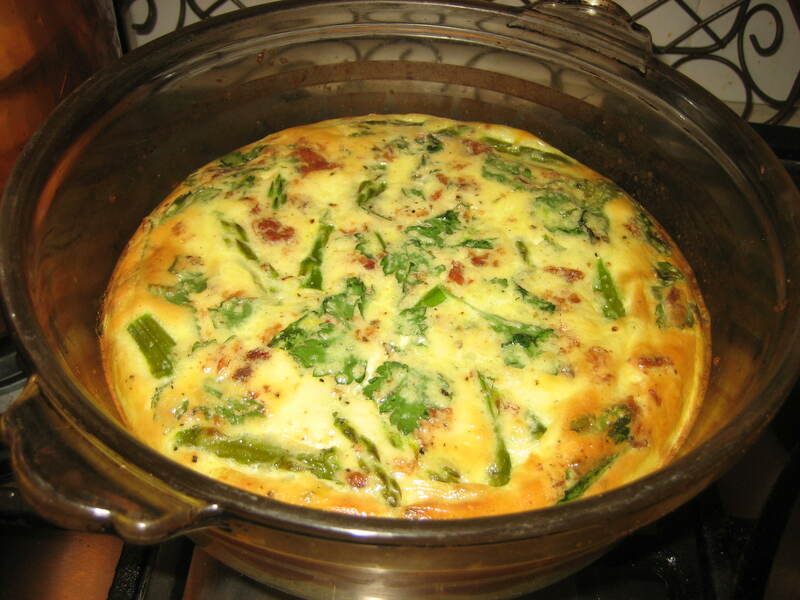 This flan combines asparagus, bacon, eggs, milk, and heavy cream, with parsley, salt and pepper. It bakes in the oven for 20 minutes at 350 degrees – very French! I hope the Inn guest, me, enjoys the meal. I’m sure she will. After all, she’s been enjoying the whole day free from her usual music work. All regular daily activities are aborted on Country Inn Days in favor of other playful and relaxing Inn experiences. One of the Inn’s wonderful relaxing experiences is snuggling up with a good book. Today that book is Jane Austen’s “Mansfield Park”. And another favorite activity at the Inn, or anywhere at all, is letter writing. I am an avid letter writer. Today I’ve written two letters – one to my pen friend Amelia in Minnesota and another letter to Susie in Virginia. As my dear “dead friend” Lord Byron always said – “Only in letter writing do we have solitude and society simultaneously.” How true that is. I relax all by myself at the Inn but I’m able to connect with friends through letters. How nice it is to get away from it all without packing and traveling long distances. Of course I would love to bop over to my favorite Red Lion Inn in the Berkshires of Massachusetts every week, but that’s not possible. Having my Country Inn Days really helps keep me amused between my visits there. Just a little imagination makes the simple things in life great fun. What was it Mary Poppins said? – “In every job that must be done there is an element of fun. You find the fun and then the job’s a game”! She was so right. My Country Inn Days truly make ordinary life a sort of game. And adults have to play too. The dinner bell has rung. I must leave you now. 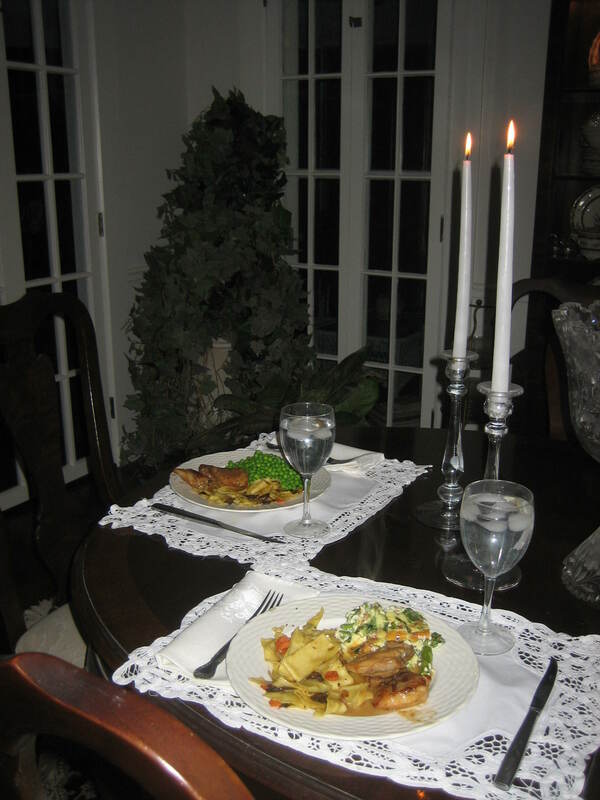 Linens, candlelight and a yummy meal just for me, well, for my hubby too. He always joins me on my Inn getaways. Others check into the Inn too, but I’ll tell you about them another time. So I have to run. After dinner perhaps a bubble bath and then hopping into a warm and cozy bed with sweet dreams ahead. There’s nothing like a Country Inn Day, a day to hibernate at the Inn and escape from the world if that’s what I need or it could be a day out in the world exploring favorite places and looking for adventure. I’m happy you joined me today because sharing doubles my joy. It really does. Maybe now you’ll go off on your own Country Inn Day adventure. If you do, let me know. I’d love to hear all about it. So glad you are back with a “Country Inn” story. I have missed them. Well, it looks like your back into your “Country Inn” days. I’m sure with the renovations going on you have been busy and add to that the crazy weather we all have been having. 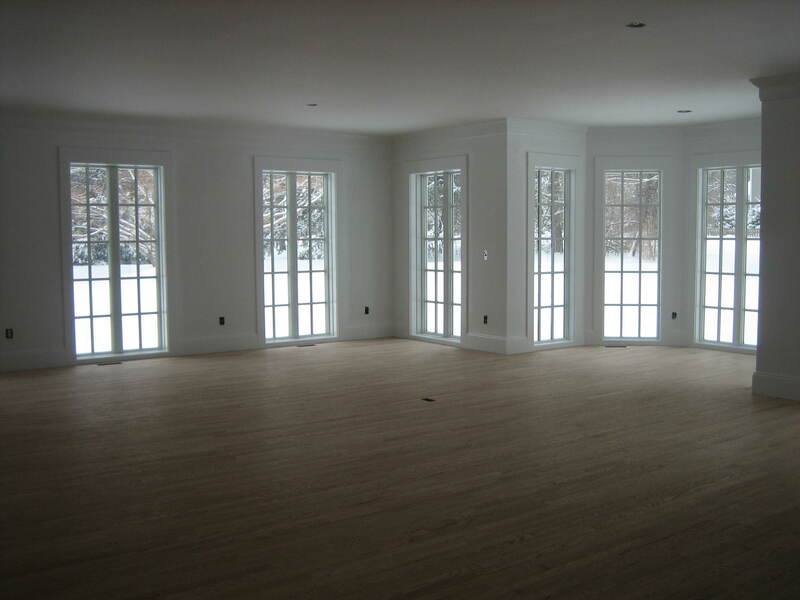 The room is looking wonderful and I’m looking forward to seeing it come alive.